The scandal around college admissions has received major attention recently. But the overwhelming majority of families eventually find themselves needing to help their child navigate the college application process, which looks very different than it did when we as unmillennials applied so many years ago. Experts say college admissions prep needs to begin long before the actual applications are due and likely involves taking stock of what the child is doing — both in the classroom and out — as early as middle school. 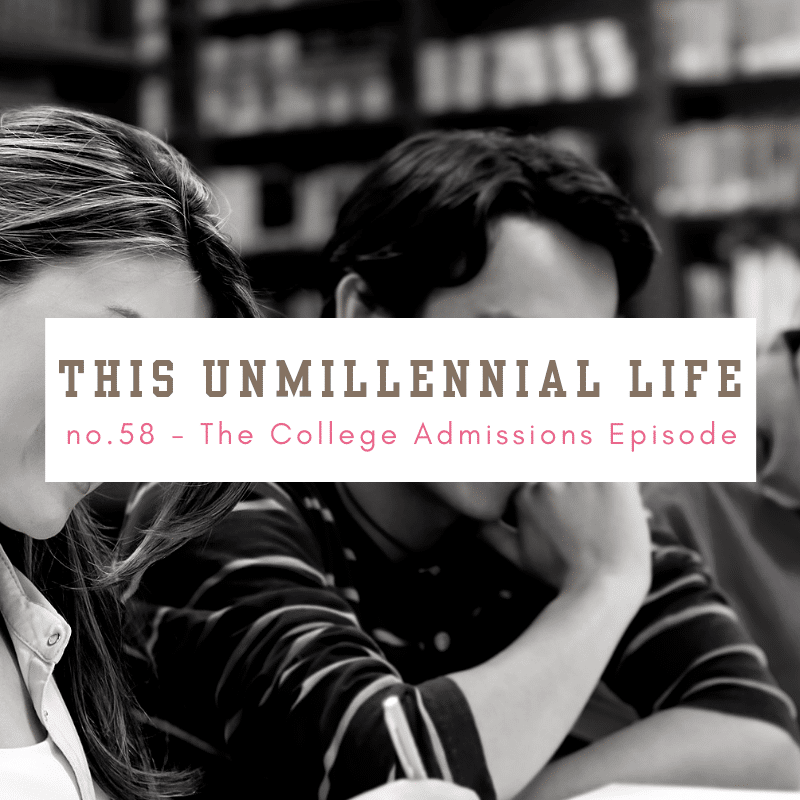 We also discuss the services that Neha offers through her organization — College Shortcuts, including their monthly mentorship program that pairs students with an Ivy League graduate to help them both stand-out in the college admissions process and excite them about their future college life. I close out the show in the Odds & Ends ending with a detailed discussion about my recent quest for a high-fiber protein powder and why I developed the recipe I shared here on the blog in this recent post — How I created My Own High-Fiber Protein Powder — based on having tried the F-Factor 20/20 Protein Powder. I clarify how the fiber that I use in my protein powder — hydrolyzed guar gum — is not the same as guar gum and discourage listeners from using the two interchangeably.